These flowers come up all around my house in the summer and bloom mostly in the late summer. 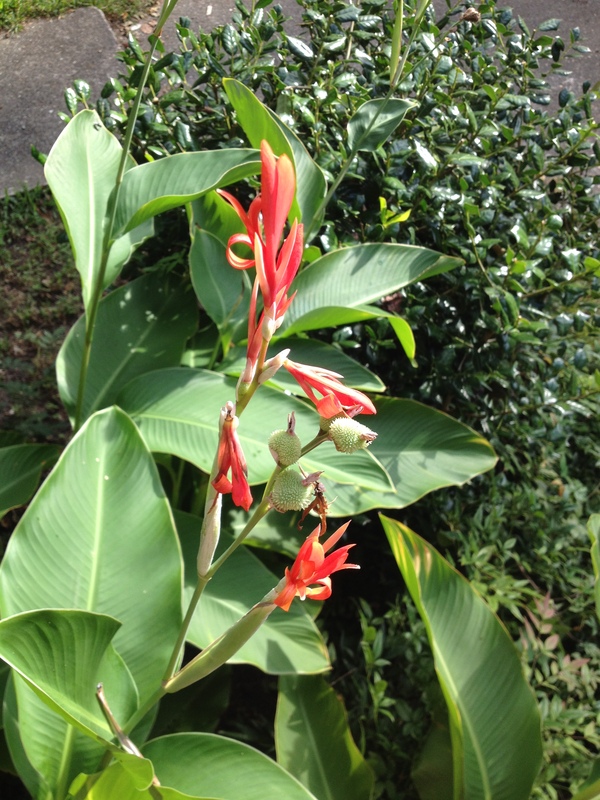 They have long stalks with these wide tropical-looking leaves and beautiful red flowers that attract hummingbirds. Frankly, I don’t like them being where they are – they flourish and block the sunlight from other plants that are lower to the ground – but I leave them because of the hummingbirds. I can’t get any agreement on what they are. My neighbor down the street says they’re bird-of-paradise, but I looked up a picture on the web and that’s not what these are. Other people have proposed that they’re some kind of daylily. Does anybody know?